Each and every day many of us are involved in potentially life changing accidents that were caused through no fault of our own. If this has happened to you, you may be in a position to make a complaint regarding the incident; you can also claim for compensation if this incident has affected you. However, the rules regarding reporting accidents and claiming compensation can be quite complex, so here’s a simple guide to the types of accidents that you can claim for and the process involved in doing so. There are a number of things that you must take into account before you begin the process of reporting an accident and attempting to claim compensation. First you must determine whether or not you were at fault or whether your actions resulted in incident. If the accident you were involved in was through no fault of your own you must think about the following things before reporting the incident. – Lastly you should think about whether you are a member of a trade union or have taken out any type of insurance that will cover or partially cover the cost of legal assistance. – Or if you live in Wales as of April 2011 you will be able to combine your complaint with claiming compensation. The first thing that you should know is that there are different types of compensation; the first is the type that most people receive, which is general damages which compensates you for the injuries you have suffered. The second type is Special Damages and is often given to those who have suffered a personal injury and can prove that it has significantly changed their life, even if the change was temporary. 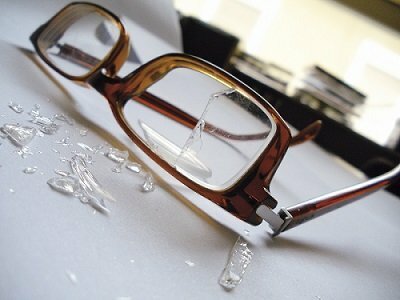 Special Damages include items of personal belongings that may have been lost or damaged in the accident. Loss of Earnings that cannot be recovered as salary if you are off work sick due to the accident. Future Damages, these are assessed damages that are awarded if you are likely to have or need ongoing hospitalisation or treatment as a consequence of your accident. There are a number of ways in which you can claim compensation; the best is for you to hire a barrister or legal professional who can work with you throughout the process and help you achieve a successful claim. – Or a special Government compensation scheme that covers injuries and losses due to damage caused by vaccines or asbestos-related diseases. If you still have concerns over a personal injury or an accident that occurred through no fault of your own you can get in touch with us here at Access2Barristers Direct; we’ll do everything in our power to settle your claim and help you find justice.